Home » Macau » Retail | Is Miniso a Japan-based chain store? Retail | Is Miniso a Japan-based chain store? Chinese-Japanese brand Miniso has come under fire over recent weeks after Internet users widely questioned the brand’s origins. Although the company’s design philosophy is attributed to Japanese designer, Miyake Junya, its business head is 38-year-old Ye Guo Fu from China. Rumors have been fueled by the brand’s lack of popularity in Japan. According to the Straits Times, Miniso has just four stores in Japan, while it has more than 1,100 in China. Many of these stores are located in Guangdong – where the company’s Chinese headquarters are based – and also in Macau and Hong Kong. And the brand’s logo closely resembles some of its competitors in Japan, evoking other Chinese copy-cat brands on the mainland, where copyright legislation is negligible. Critics have drawn comparisons with other Japanese high-end dollar stores, Muji and Uniqlo, both of which share similarities in design with Miniso. 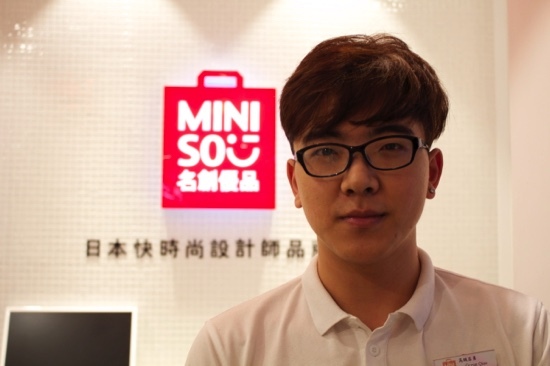 The Times interviewed 24-year-old Ocean Qiao, the general manager of the Miniso store on Avenida da Praia Grande, who explained that the brand’s lack of popularity in Japan was not the result of inauthenticity, but a result of the reputation of better-established competitors, like the 100-yen store Daiso. rate alternative, his comments did not account for all of the concerns relating to lack of authenticity. “I do wish to see Miniso become more successful in Japan, but I find it even more exciting to share the Japanese design philosophy with people around the world,” he added. The store on Avenida da Praia Grande, is the second largest of the four stores operating in Macau, yet according to Qiao, it is the busiest. The largest store is located near the border gate in the northern district. “70 percent of the store’s customers are Macanese residents, 10 percent are Filipino or Vietnamese living in Macau, and 20 percent are tourists,” the Miniso’s director of marketing said. Ocean Qiao told the Times that since December, business has been exceptionally busy due to the Christmas and New Year period and in preparation for the Chinese New Year holidays. He speculated that many Filipinos are buying products as gifts to take back to the Philippines.